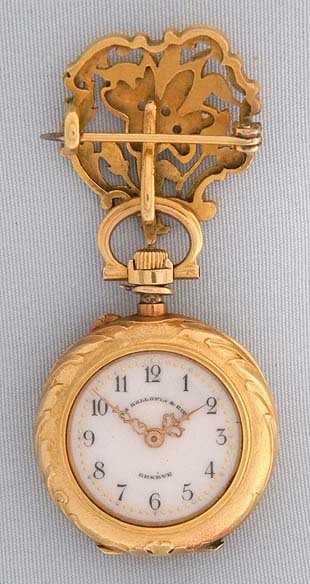 Fine Swiss 18K gold, enamel and diamond Art Nouveau ladies antique pendant watch with matching pin by Henry Capt L. Gallopin, Geneva, circa 1890 The case with high relief chasing centered with an enamel and diamond flower with matching pin. 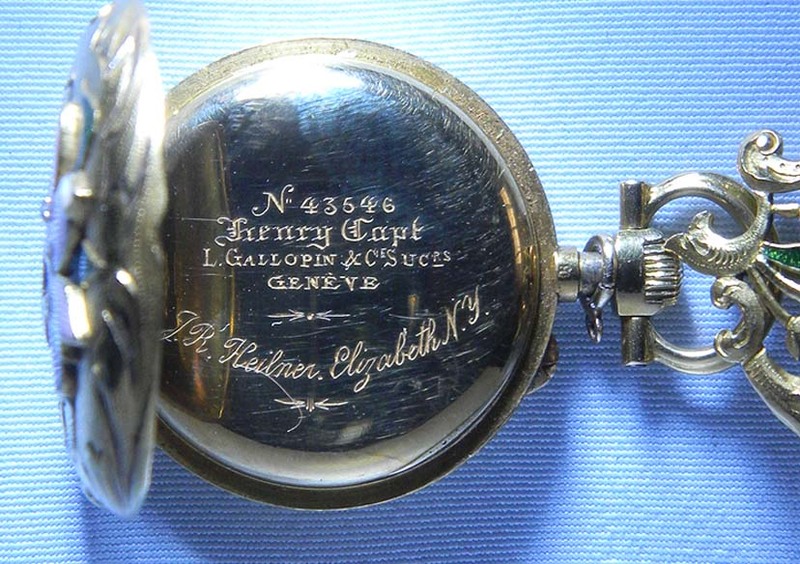 White enamel dial with silver and gold minute markers and fancy gold hands. 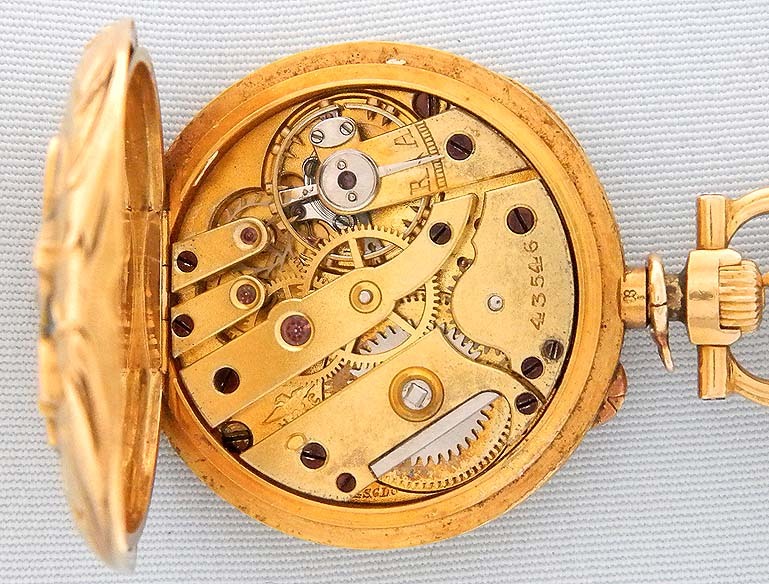 Good gilt 15 jewel lever movement. Lovely.